These Cargo Boxes are perfect for hauling around whatever you can put into it. 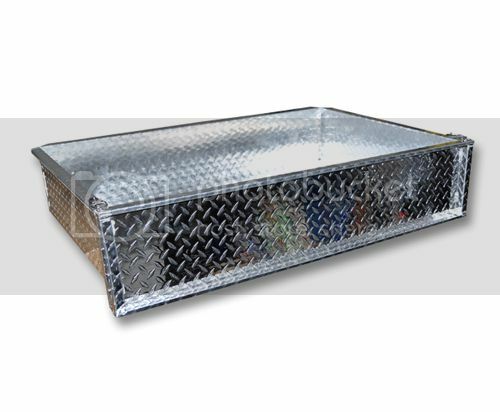 Our Aluminum Cargo Box is constructed from diamond plate, for the lightest cargo box in the industry. Spring loaded latches offer secure tailgate closure.